When you own a small business, every customer counts. As you build your brand, you have to know the needs of your customers inside and out. Customer surveys are a great tool for gaining insight into how your product stacks up in the eyes of your customer. Surveys can be an invaluable source of objective information on where you’re hitting it out of the park, and what areas of your product need improvement. 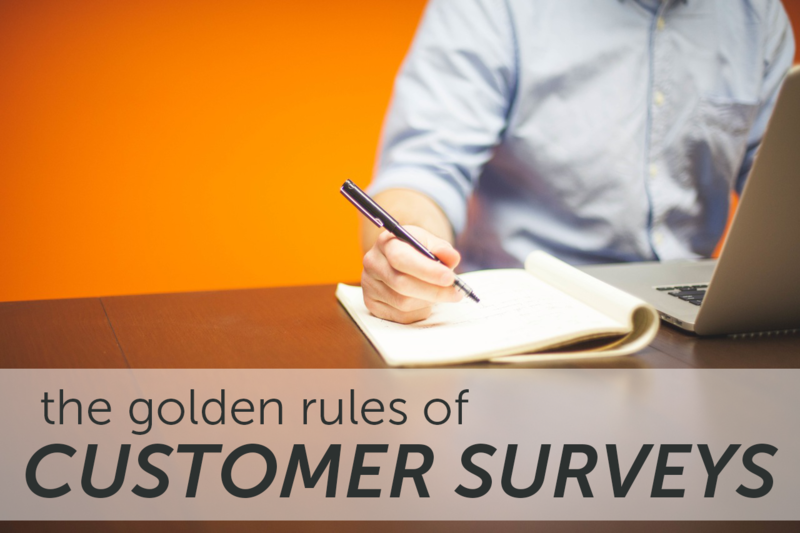 So here are some dos and don’ts to help you get better feedback from your customer surveys. Keep it short. In a world where the human attention span is now shorter than the attention span of a goldfish, your customers don’t have the time or patience to complete long-winded surveys. Avoid survey-fatigue and keep it short. Your customers will thank you by taking time to leave thoughtful feedback. Questions should be structured and concise to get the most out of the few minutes of a customer’s time that you have. Take advantage of technology. Written and phone surveys make your company seem old fashioned and technology-shy. Mobile survey apps, such as Opinionmeter, SurveyMonkey, and QuestionPro, are widely available, cheap (or free! ), and convenient. In addition, these apps make it easy to tabulate data so you can quickly digest survey results and put your insights to work right away. Do your research and ask only what is important. Rather than just brainstorming with staff on what might be important to customers, do a few pre-survey interviews with a handful of valuable customers to get ideas on what their priorities are and what types of questions to include for your larger survey audience. Follow up. It’s important to acknowledge that your customers are spending their time to benefit your business. Be sure to thank them for completing your questionnaire. Additionally, survey takers can be used for future feedback, so be sure to ask if they are open to being contacted again at a later date. Do something with the feedback. You are wasting time and money (yours and your client’s) if you simply review the collected data then throw it in a file. Put a process in place to make changes at your company based on the feedback gathered through customer surveys. Don’t survey too often. Most customers don’t mind taking a few minutes to answer your questions, as long as you don’t request that they do so too often. Your best bet is to determine a timeframe that is acceptable for your industry. For some that is once a month, for others quarterly or once a year. It depends on your customers and product. Asking too much of them too often will annoy or even alienate your valued customers. Use your CRM to track which customers have been surveyed and when to stay organized and avoid survey fatigue. Don’t hoard the responses. It’s important to share survey results with your staff who often interacts with the customers more frequently than you do. The data can be used for team discussions on successes, failures and ways to increase customer loyalty. Don’t skew or bias your questions. The goal of a useful survey is to learn something new about your customers and their needs. If you’re creating a survey to collect the data that you “want,” you won’t get the data that you actually need to make an impact on your business. Use clear, objective language and be sure that the questions you include are not leading. Don’t use multi-part questions. If you do find an ‘and,’ break the question apart for clearer answers.This will increase the likelihood that respondents answer all of the questions and nothing gets passed over. If you’re failing to conduct customer surveys, you’re missing out on a huge opportunity to develop your business or product. Even small business owners who have regular conversations with clients may be missing out on information that customers either didn’t feel comfortable sharing upfront or that just never came up in conversation. Your business decisions should be influenced by both qualitative and quantitative feedback. Customer surveys are a low-dollar way to get high-value, quantitative information to improve your product or service.